Shadow gap, also known as angle channel cladding, is machined so that each board fits together with adjoining boards to allow dimensional movement. 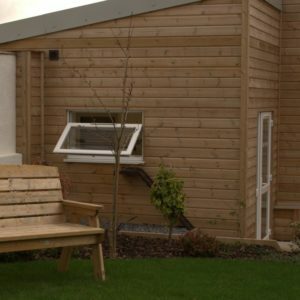 The board joint is machined to help maintain it’s weatherproof qualities and provide an interesting contemporary appearance. After machining the boards are pressure treated with new generation Tanalith-E preservative. 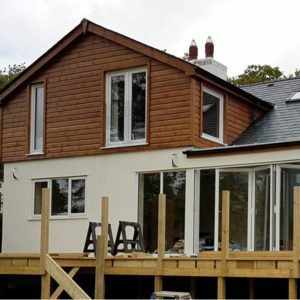 Tanalith-E pressure treatment helps protect timber against decay and fungal attack and provides an increased service life in comparison to timbers finished with a standard dip treatment. When used with quality redwood timbers this allows the Manufacturers to offer a 15 year Treatright warranty on this shadowgap cladding. 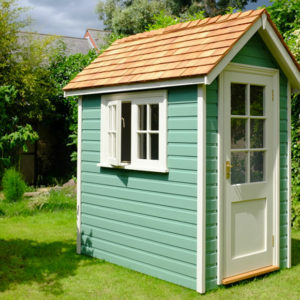 This tanalised cladding can be used on a variety of buildings including garden sheds, offices, garages, workshops and other timber framed buildings. All our shiplap is pressure treated and will weather to a silvery-grey finish. Colours can be maintained and enhanced where required by using Osmo Country Colour, Osmo Natural Oil Woodstain or Treatex exterior oils. If the timber has gone grey the timber appearance can be rejuvenated with Osmo wood reviver gel.